You’ve obviously survived to tell the tale but I’d stick with Kelly’s thought that the current batch might last forever! From your photos it certainly looks like the real McCoy so congratulations on another success. I have to ask though Sarah, when did you last sip from a fish tank?? 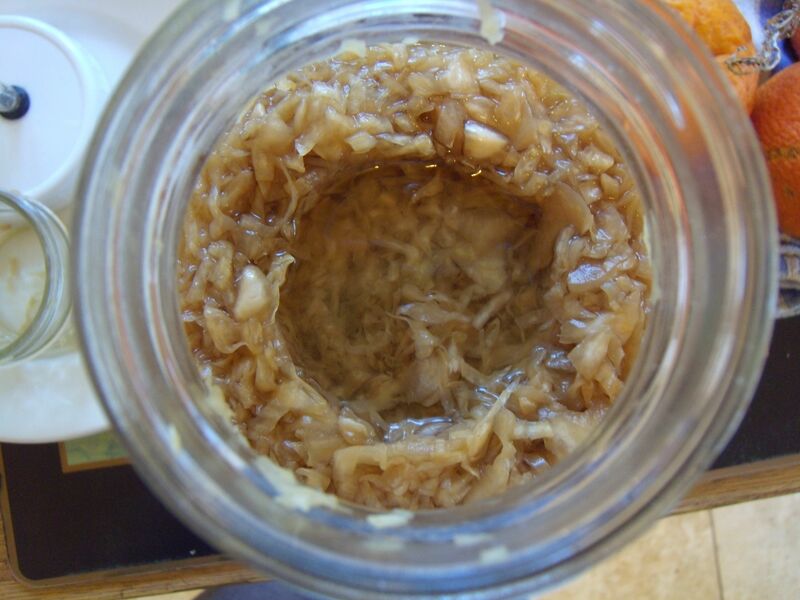 A few months ago I was given a small jar of pickled red cabbage and after a quick taste decided it best to tuck it away to the back of the cupboard for a while. You’ve now got me feeling brave enough to give it another go…. I’ll let you know!! Ha! Thankfully, I have never sipped from a fish tank, but the smell was reminiscent. I hope your pickled red cabbage has aged well. 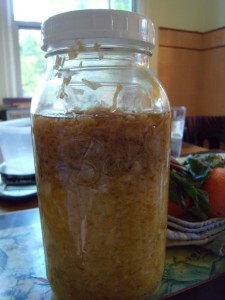 It’s amazing how sometimes these fermented foods come into their prime long after we have all but forgotten about them. Since I’m working my way through pickled beetroot and rhubarb and date chutney I’ve decided to leave the pickled red cabbage where it sits, at the back of the cupboard. Just not brave enough to attempt it at the moment! Perhaps it will be even tastier with the extra time you’re giving it ;).